With a history of valve manufacturing dating back to 1928, the company now known as Apollo® Valves has earned a reputation for developing new products to meet emerging market demands. Introduced in 1968, the Apollo® Series 70 ball valve became the most specified ball valve in the world. 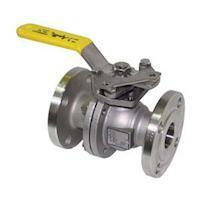 Today the company produces a full line of ball valves, as well as actuators and mixing valves. Nearly all Apollo® valves are produced in the U.S., including ISO-registered, world-class foundries and facilities in Pageland and Conway, SC.